A list of potential bidders for an auction of government-seized bitcoins has been accidentally leaked. The US Marshals Service inadvertently revealed the email addresses of all interested parties while emailing them about the process. It apologised for the mistake, which it said "was in no way intentional". The US government plans to auction about 30,000 bitcoins - currently valued at about $17.4m (£10.2m) - on June 27. The crypto-currency was seized by the FBI during a raid in October on the internet marketplace Silk Road. The seized bitcoins are part of the civil forfeiture and criminal action brought against Silk Road owner Ross William Ulbrich. The "gaffe" was revealed by CoinDesk, an online website dedicated to bitcoin news. It said that it has a list of people who inquired about the auction. It includes Fred Ehrsam, co-founder of Coinbase, a UK payment processor. 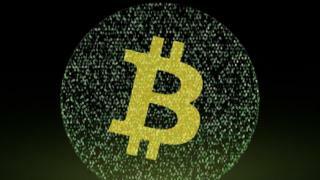 "The US Marshals Service (USMS) sent an email to individuals who had enquired about bidding in the Silk Road Bitcoin auction informing that a new FAQ had been published on the USMS website. However, the recipient list was accidentally exposed because it was copied rather than blind copied," reporter Joon Wong told the BBC. The information revealed is not the definitive list of registered bidders so in that respect it is not a significant breach, said Mr Wong. "It is more significant in terms of giving us an insight into the agency handling this auction," he said. "The USMS is the first government agency to conduct a crypto-currency auction. Its clerical error has compromised the anonymity of individuals who contacted it, so this doesn't inspire confidence."